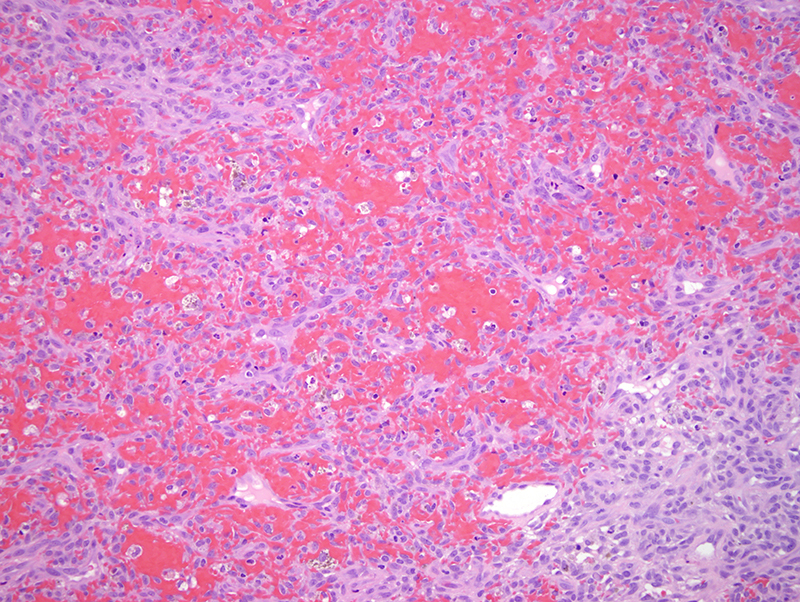 The findings appear to be quite characteristic for a rare form of fibrous histiocytoma representing angiomatoid fibrous histiocytoma. 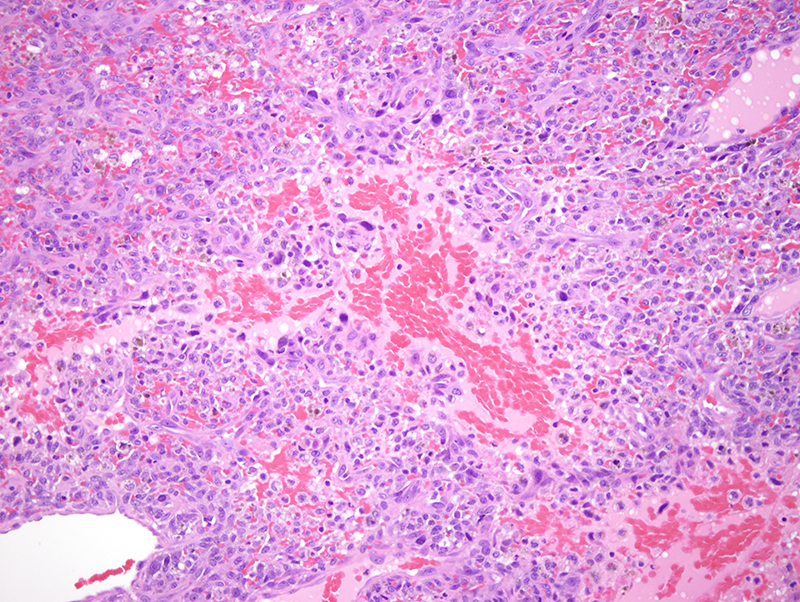 This neoplasm is a low grade mesenchymal tumor of uncertain differentiation typically occurring in children and young adults on the extremities. Its morphologic hallmarks include a multinodular proliferation of spindled to ovoid cells associated with pseudoangiomatoid spaces. 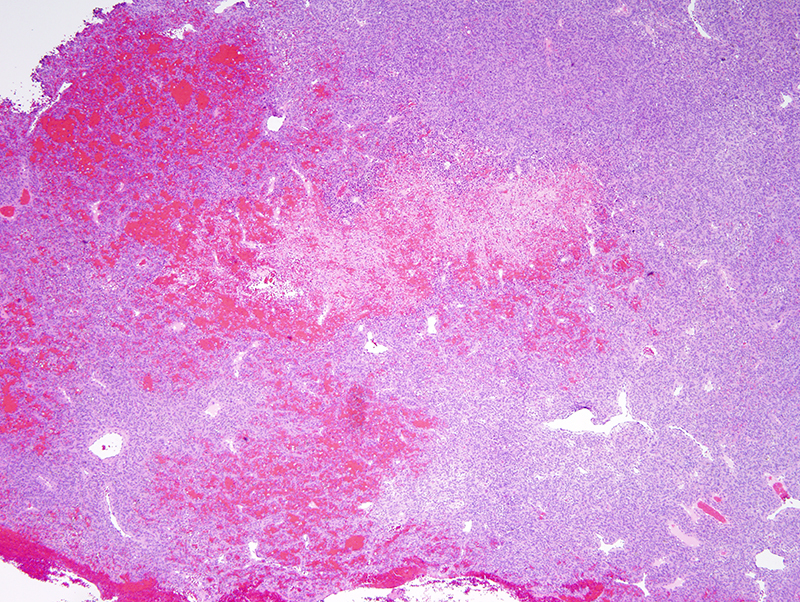 Low grade atypia can be seen and indeed this particular case does exhibit random atypia of the neoplastic cell populace somewhat analogous to atypical fibrous histiocytoma. 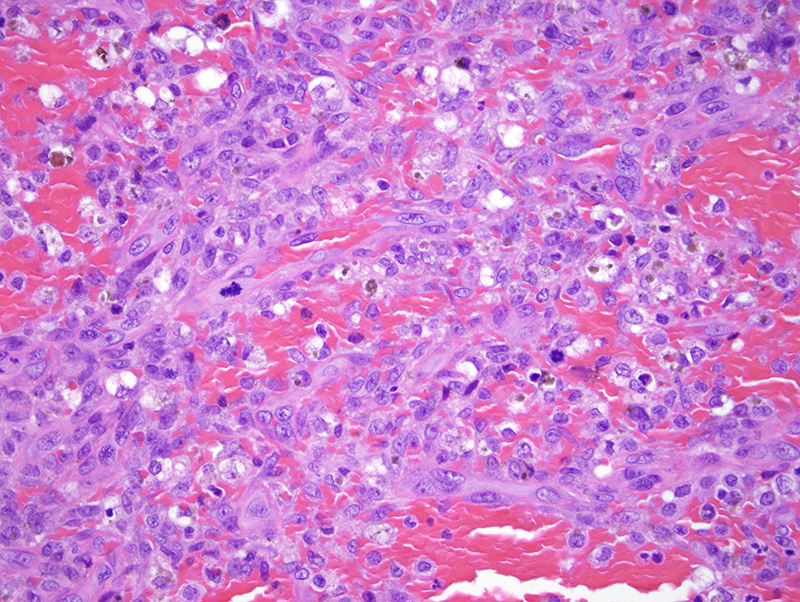 The neoplastic cells show focal staining for desmin in at least 40% of cases. In this example there is weak cytoplasmic immunoreactivity of the neoplastic cells for desmin. 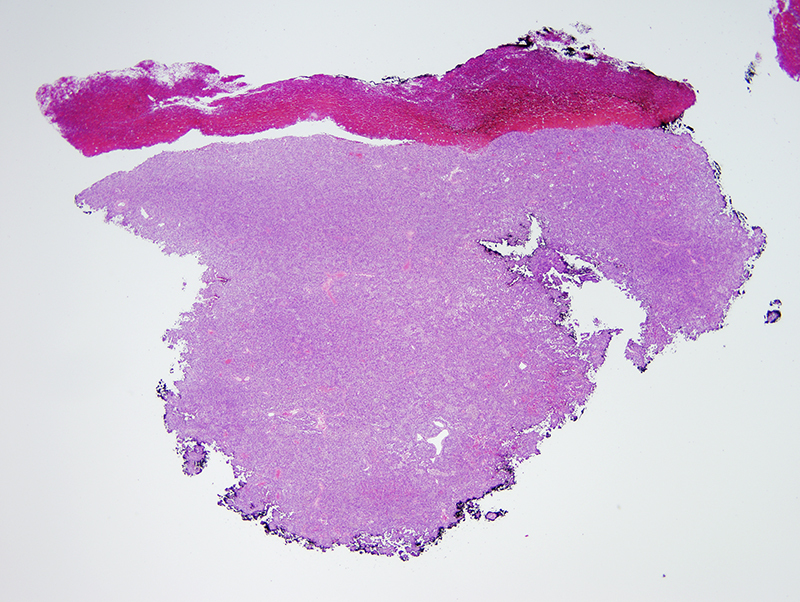 These tumors can recur; the metastatic rate is less than 1% although it has been documented.